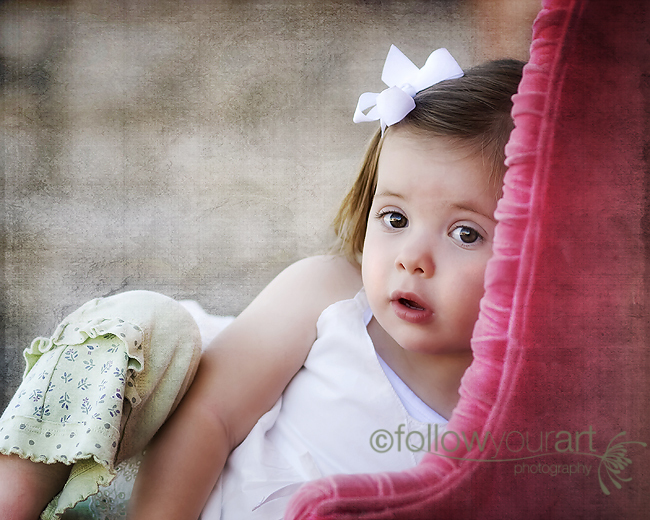 Follow Your Art Photography, Utah Baby, Child, Senior, Family Photography, photographer: Simply perfect! 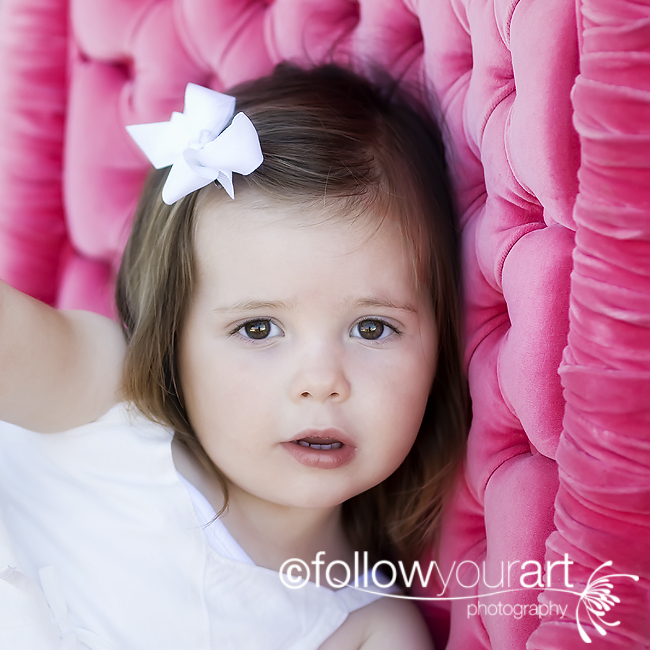 I took my daughter out today to practice with my new pink chair!! (more to come of the perfect pink chair, that I bought for $20 on craigslist WOW!). The light was absolutley perfect! She was having so much fun just being big and playing on the chair. I have a million things to do (edits, cleaning, etc.etc.) and I all I want to do is stay up all night (it's 2am) and work on these pictures. But for now you get one....My aboslute favorite one of the bunch. In fact I think this probably has to be my all time fav of Addy....This is the first time in a picture I really see myself in her sweet little face. That is beautiful. I love the texture and her eyes are amazing! Great shot. Oh and I love the chair. She is a dolly! Fun chair! Your work is getting better every day! Way to go! Oh my gosh. That is the most darling picture! I love your new prop and I'm sure you're gonna get even more favorite pictures with it.